Holding a Questions & Answers Session at the conclusion of a seminar presentation is always important, but perhaps not for the reasons that you might think. The Q&A session of a retail seminar, geared to generate business from either your existing clients or prospective new clients, is a great opportunity to develop interaction between you (the speaker) and the audience. It’s also an opportunity for you to find out what issues people are most concerned with. Keep in mind, while it might be tempting to want to completely answer each question you get, you don’t want to get into too much detail (that’s what the free initial consultation is for!). It’s important to not only answer questions in a way that’s legally and technically correct, but so that you continue to motivate, inspire and call people at the seminar to action. 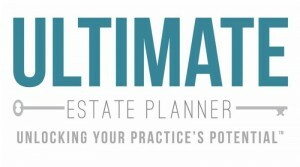 Learn techniques for holding the Q&A session at the end of a Living Trust seminar in this 20-page white paper assembled by our President, estate planning attorney, Philip Kavesh and his vast knowledge of effectively holding Q&A sessions at thousands of seminars over this 30+ years of experience. Even further, you will go through a series of common questions and how to phrase your answers in a way that gets them motivated to book their free consultation to come in and see you!